A newly found locus of the Drosophila melanogaster genome, named toothrin (tth) has been used to study the role of the conserved the 2/3 domain of genes from the d4 family. In contrast to all vertebrates studied (including humans), in which the 2/3 domain is always accompanied by the d4 domain, the tth gene contains the sequence encoding the 2/3 domain but lacks that encoding the d4 domain. 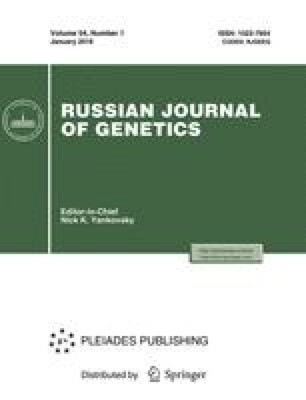 The tth gene overexpression has been studied using the two-component system UAS-GAL4. It has been demonstrated that the tth overexpression at the third-instar larval (prepupal) stage decreases survival rate, simultaneously causing a substantial deceleration of development in Drosophila. It is known that the change of developmental stages in Drosophila is controlled by the rates of the expression of ecdysteroid and juvenile hormones (JHs). It is supposed that the overexpression of the tth gene causes either a shift in the ecdysterone-to-JH ratio (through a decreased JH decay rate or a delayed initiation of ecdysone synthesis) or a deceleration of the release of ecdysterones synthesized. Translated from Genetika, Vol. 41, No. 2, 2005, pp. 196–202. Original Russian Text Copyright © 2005 by Simonova, Kulikova, Mertsalov, Umnova, Bashkirov, Buchman, Korochkin.